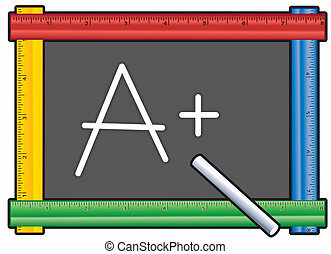 Ruler blackboard. 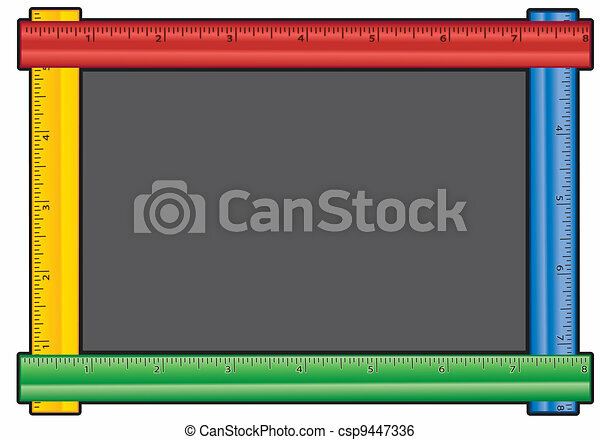 Blackboard with multicolor ruler frame, copy space for education, back to school, literacy projects, scrapbooks. add your own text or art. eps8 compatible. 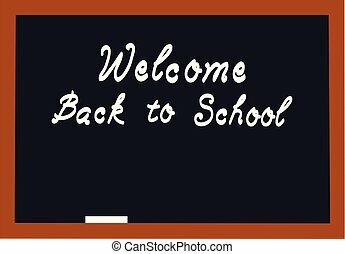 Blackboard with multicolor ruler frame, copy space for education, back to school, literacy projects, scrapbooks. Add your own text or art. EPS8 compatible. Flat Blackboard Icon. Vector Graphics. 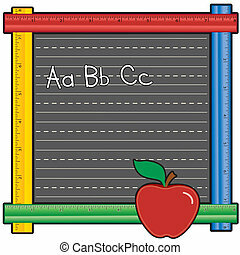 Blackboard with multicolor ruler frame, apple for the teacher, abc with penmanship lines. Add your own text or art. 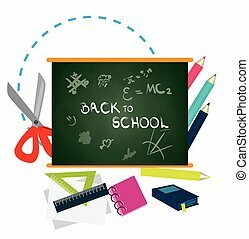 Copy space for education, back to school, literacy projects, scrapbooks. EPS8 in groups for easy editing. 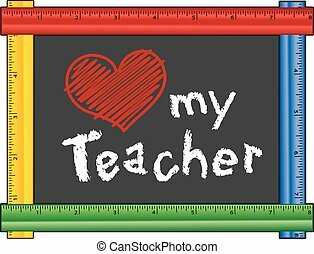 Blackboard with multicolor ruler frame, Love My Teacher message, apple. Add your own text or art. EPS8 in groups for easy editing. 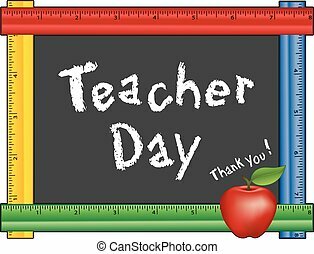 Teacher Day, annual American holiday on Tuesday of 1st full week of May, red apple, Thank you chalk text on blackboard with multi color ruler frame for class room and school events. EPS8 compatible. Success is A Plus! 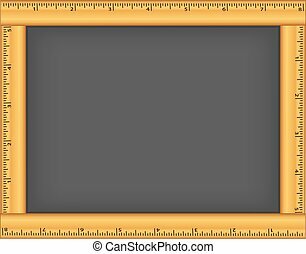 Blackboard with multicolor ruler frame, chalk, for education, back to school, literacy projects, scrapbooks. EPS8 compatible. 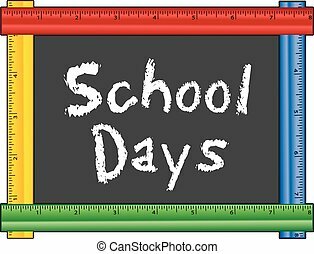 School Days, chalk text on blackboard with multi-color ruler frame, for preschool, daycare, kindergarten, nursery and elementary school. Chalkboard with wood ruler frame, copy space for education, back to school, literacy projects, scrapbooks. Add your own text or art. Teachers have Class! 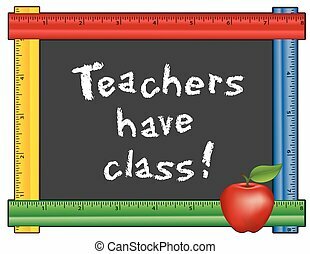 chalk text on blackboard with multi color ruler frame for class room and school events. Isolated on white background. EPS8 compatible. 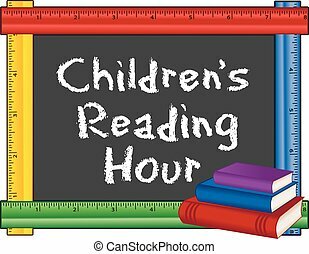 Childrens Reading Hour sign, chalk text on blackboard with multi-color ruler frame, stack of books, for schools, libraries and bookstores, isolated on white background. 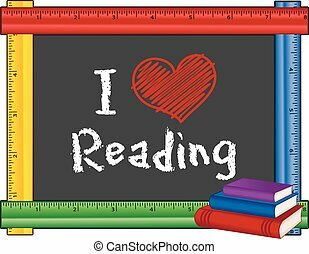 I Love Reading sign, chalk text on blackboard with multi-color ruler frame, stack of books, for schools, libraries and bookstores, isolated on white background. 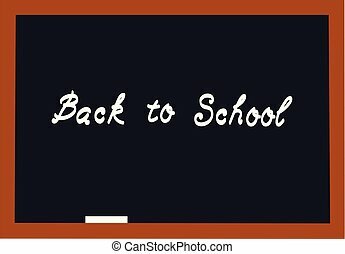 Chalkboard with wood ruler frame, schoolhouse, Back to School chalk text. 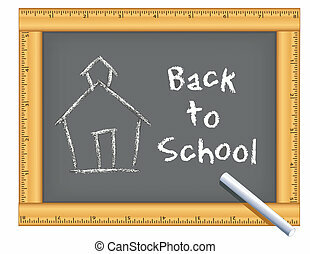 For education, daycare, kindergarten, preschool projects, scrapbooks. 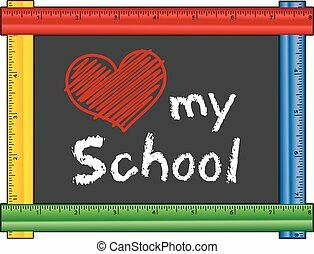 Love my School chalk text with red heart on blackboard with multi color ruler frame for class and school events. Isolated on white background. EPS8 compatible. 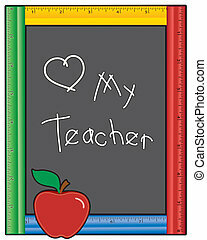 Love my Teacher chalk text with red heart on blackboard with multi color ruler frame for class room and school events. Isolated on white background. EPS8 compatible. 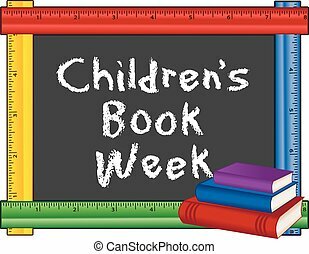 Children%u2019s Book Week, annual celebration of children%u2019s books and reading in schools, libraries, homes, and bookstores, held during 1st full week in May, text on blackboard with multi color ruler frame. Isolated on white background. EPS8 compatible. 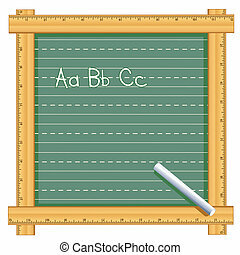 Chalkboard with wood ruler frame, chalk text, abc text with penmanship lines. Copy space to add your own text or art. 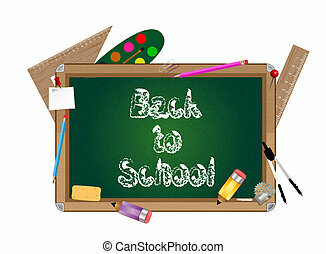 For education, back to school, daycare, kindergarten, preschool projects, scrapbooks. 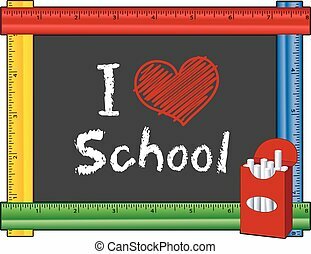 I love School, box of chalk, text with big red heart on blackboard with multi color ruler frame for preschool, daycare, kindergarten, elementary and nursery school. Isolated on white background. EPS8 compatible.